Big Ideas: A History of Field Research in Industrial Design in the United States is one of several papers from 2005's International Conference on Design Research. Arnold succinctly traces the emergence of research methods and outputs in the ID process over fifty years. Four "eras", roughly a decade each, are used to map out the growth and maturity of design research - from its beginnings out of human factors and marketing, to its modern visibility. The article includes a detailed table of the key people, methods, products and methods from each of the four eras. Arnold also notes the rise of user research methods in IDEA award winning products - although its arguable whether such products won due to design research, or just represent a standardization in the modern design process (or both). Really interesting stuff for those in the field to understand your roots. Several of the upcoming district conferences have their 2008 web sites up - content still in progress, but expect them to fill out every the next few weeks. Online registration is open on some of these sites as of this posting. 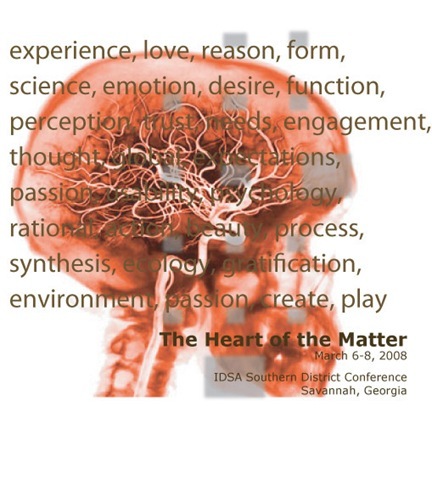 You can see a list of all the IDSA district information on the IDSA site. Specific information regarding conference content related to human factors and design research is TBD, but please send me any info that you know of at this time. A series of short-presentations on communicating design research, followed by a moderated discussion. A portfolio-review session open to students and professionals interested in getting feedback on their user research work. More details, presentation guidelines and registration information forthcoming. One of the most challenging aspects in conducting medical ethnography/observation for design research is constructing a complete and accurate task analysis. Breaking down a complex surgical procedure into logical sub-tasks typically requires rigorous observations over multiple sessions, detailed video review and validation from subject matter experts. Constructing hierarchical task analysis in surgery*, which was published in the January 2008 issue of Surgical Endoscopy, provides a high-level description and concrete example of the process for creating a hierarchical task analysis in a surgical context. Click on inset image for a process diagram from the article. *Note - accessing the full article requires a paid subscription, or the individual article may be purchased for $32 - then again there's always the library. "Now they are designing Wii software that will accurately simulate surgical procedures. A training platform based on the console, which costs about $250, might be more practical for trainee surgeons in the developing world..."
For designer/researchers, lower cost training simulators may provide a way to simulate or test prototype surgical tools in the design process. Even if you don't design aircraft, the Federal Aviation Administration's Human Factors Design Standard, is an invaluable (and free) reference for design practitioners. The complete design standard is large (10MB) and comprehensive - "an exhaustive compilation of human factors practices and principles" - but it provides succinct and tactical, evidence-based information. For example, concerning touchscreens, fourteen specific guidelines are given for button size, labeling, position, dead space, etc, but the need to test with representative users is also recommended to keep these rules grounded in reality. In 2007 the FAA added draft updates related to interface design, including displays and non-keyboard input devices (e.g. mouse, joystick, touchscreen). A brief, anonymous survey form is required to download the Human Factors Design Standard (HFDS). Once past that, you may download the entire document or any of the 15 individual chapters or drafts, ranging from Alarms, Audio and Voice to Anthropometry and Biomechanics (a particularly strong section of the document). Sparsely, but appropriately illustrated, the HFDS gives the actionable guidelines that so many product designers and students are desparate to find in a single location. PS - Experimenting with larger font size for better readability on recent posts. While I was not able to attend the Consumer Electronics Show this year due to other work commitments, all reports indicate that it was bigger than ever. As expected, a number of high performance, high definition videocameras were announced, featuring researcher-friendly capabilities including larger capacity hard drives, image stabilization and greater optical zoom ranges. I'm somewhat partial to the new JVC Everio line from a styling point of view, especially the top of the line GZ-HD7. "collection of easy-to-use electronic modules that snap together to build any gadget you can imagine. 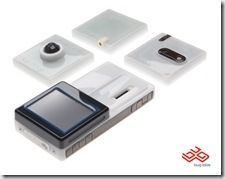 Each BUGmodule represents a specific gadget function (ex: a camera, a keyboard, a video output, etc). You decide which functions to include and BUG takes care of the rest letting you try out different combinations quickly and easily. With BUG and the integrated programming environment/web community (BUGnet), anyone can build, program and share innovative devices and applications. We don't define the final products - you do." In other words, a set of modular consumer electronics components that can fit together and then be custom programmed to do whatever the user/developer desires - open source will help with that a lot. 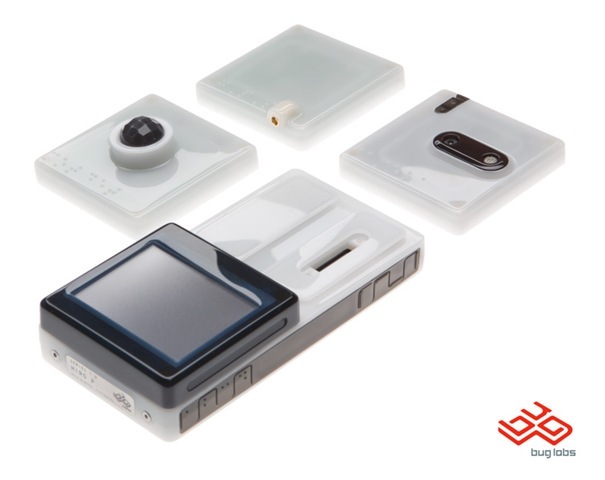 The current set of modules include an LCD display, a camera, GPS and motion detector - all to be released this quarter, with second quarter modules including a touch screen, keyboard, and audio module. Check out some videos on YouTube. Create custom data gathering devices and programs to conduct observational research (camera), time and motion studies (motion sensor, GPS), etc. The quality of the hardware (e.g. video image quality, motion detector sensitivity) and the ease and flexibility of the development environment will be key of course, but I look forward to the possibilities that BUG may enable for the creative designer/researcher. In his most recent article in Medical Device and Design Industry, Michael Wiklund discusses the need to thoughtfully design every interaction, or touchpoint. Refined Touchpoints Drive Quality Perceptions suggests that medical product purchasers are influenced by effective, high quality design as much as consumers might be when shopping for a new household kitchen appliance. Minimize or hide molding defects (e.g., shrink marks, flow marks, color streaks) that give parts a plasticky look and give them an unrefined feel. Avoid exposed fasteners that give devices a more primitive appearance and can be hard to clean. Avoid sharp edges and corners. Instead, radius them—even if only slightly—so they feel better and do not pose a hazard to the skin or protective gloves. A slightly radiused edge can still look crisp if the device’s styling calls for it. Ensure that labels, whether they are printed, adhered, or molded in, are not subject to undue wear (e.g., rubbing off during the extended life cycle) that could make them illegible. Key issues covered in the article include the obvious, like buttons and handles, but also less considered, but essential components such as wheels and connectors that can have a strong influence on the perception of design quality. And while the focus is on medical devices, the suggestions are applicable to other product design fields. The recent update to the DesigningforHumans site was covered in the December 07 issue of IDSA designperspectives. The page 3 blurb, titled "A Blog for Joe and Josephine", briefly describes some of the recent changes to the site. In January 2005 I restarted the site as a web log (aka blog) format because that accommodates quick entry of short to medium pieces of information that I could update frequently. It also allows people to subscribe to updates via email or RSS feed. It’s been going strong since then with page views increasing by 100%+ in every year since 2005.